Not only is our store front green, it is also one of the most environmentally green facility in the area. The use of geothermal for heating and cooling, low wattage lightning and the actual construction techniques used to build the facility keeps our footprint as small as possible. Outdoors, the use of rain gardens, permeable pavers and natural prairie and flora protect the well heads used for the geothermal and help reduce unnecessary run off. Additionally, a portion of our property has also been made available to our local community garden program. Twenty-five garden plots are farmed by local gardeners each year who would otherwise not have the resources to grow their own fresh produce. Robert’s Carburetor Repair was started in 1992 by Robert Beaver who was unable to find someone who could fix the carburetor on his John Deere “A” tractor. A friend told him he could do it himself, so from the back of his garage Robert’s Carburetor Repair was born. 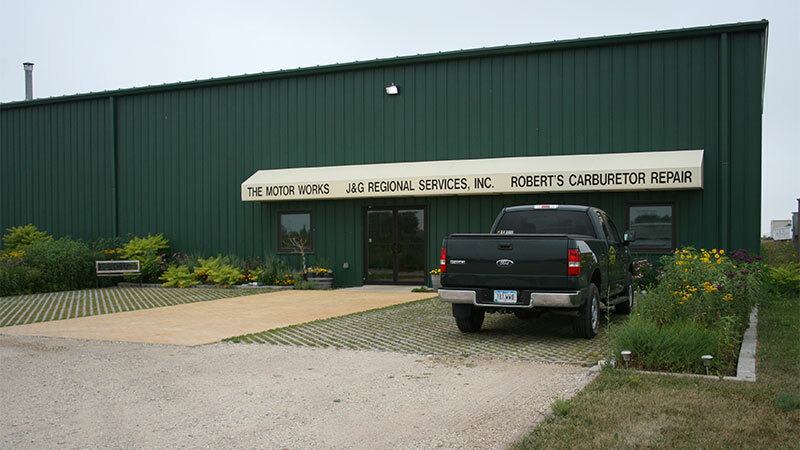 In 2007 Gary Hoefling, owner of The Motor Works, a John Deere repair shop that worked on anything John Deere green, merged with Robert’s Carburetor Repair. Since The Motor Works specialized in John Deere diesel engines and Robert’s Carburetor specialized in John Deere gas carburetors, it was the perfect marriage of antique models with current production models, gas tractors with diesel, bringing the knowledge of 100 years of John Deere technology together into one restoration business. Today, after the construction of a 7000 sq. 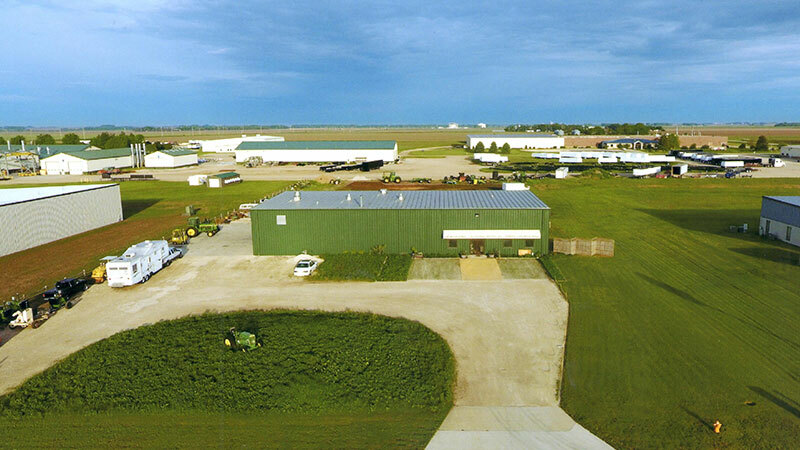 ft. environmentally friendly building, these businesses are under one roof and offer complete mechanical restoration for your John Deere be it old or new. The name Robert’s Carburetor has become know worldwide for quality John Deere carburetor parts and service while The Motor Works is known as a top of the line John Deere engine rebuild shop. 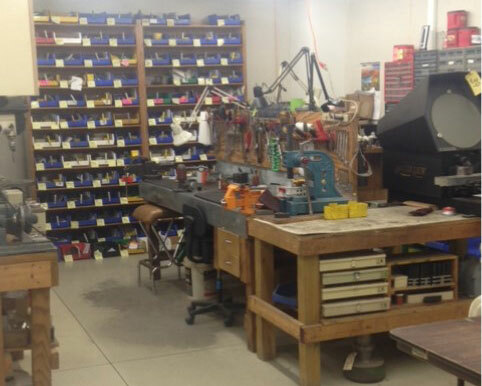 A staff of full and part-time employees keep things moving in the carb shop, the tractor shop and the office. 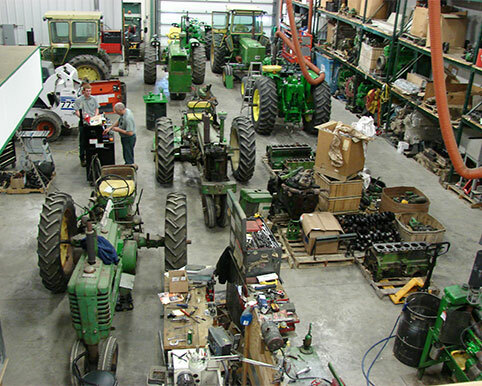 Parts orders and service work are shipped out daily through the carb shop while tractors-antique and new, combines, and all styles of equipment rotate through the tractor shop.